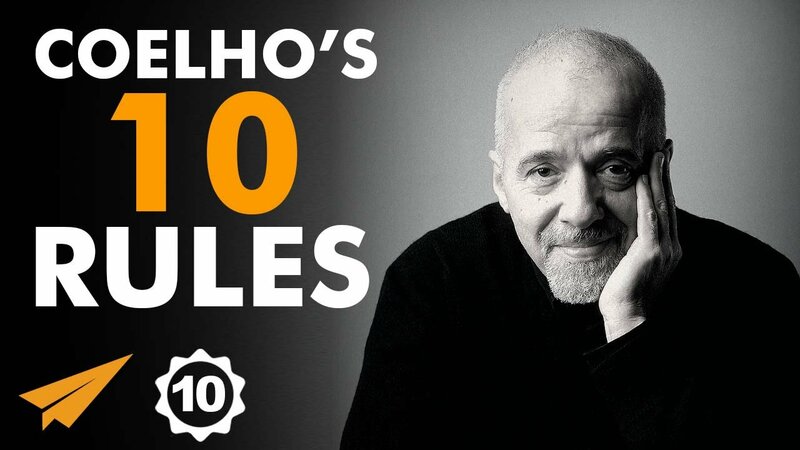 The pen- pusher of the famous novel ‘The Alchemist’ – Mr .Paul Coelho’ is widely recognized over the globe for his for his conviction. As always, his top ten rules of success have also managed to win everyone’s heart. The firm believer of the thought the entire world is connected was always determined to become a writer from very early stages of his life. On being asked about some of the worst phases of his life , how boldly he convinced to just live in the moment takes away everyone’s heart. His conviction of sharing his thoughts and opinion with people to discover himself made him reach such heights in life. According to him, the time when you realise that you are alive is the perfect time to pay attention to your life. Taking risk in life ensures the essence of living says the wordsmith. Well, success isn’t a cakewalk . Driven by idea of finding a personal legend, one stops fearing success gradually. Spontaneity and innocence are the key mantras for success according to the author whose book has a reach of 83 million. Denying the things with’I am not ready’ or doing them without enthusiasm is more of betraying your personal legend. Accepting everything as a treasure and learning from it says it all, vibrant and positive energy in everything you do compliment it perfectly and the ‘ENTIRE UNIVERSE HELPS YOU ACHIEVE IT’. Seth Godin’s Most Inspiring Speech on Fulfillment!